Recommended for use in connection with the harmony examinations of the Royal Conservatory or Music. 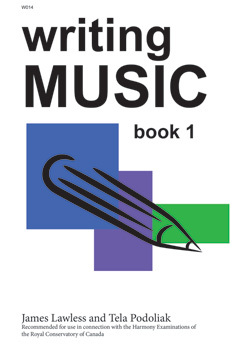 The Writing Music Series is a straightforward and organized approach in its presentation of important material. Includes material on triads, harmonic progressions, cadences, dominant chords, writing melody, applied analysis and much more.